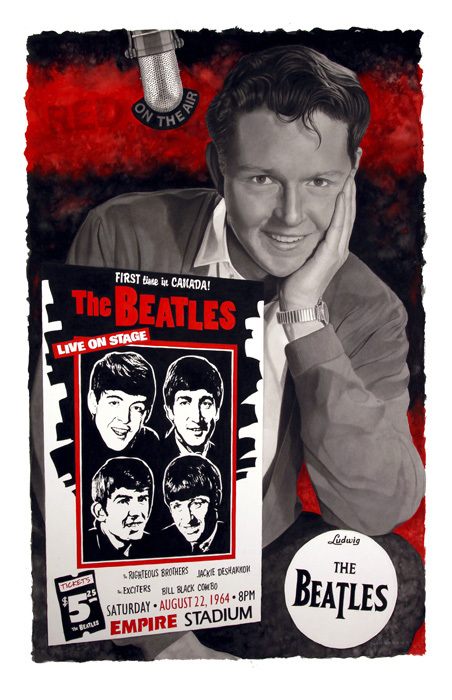 [10:30] Legendary broadcaster Red Robinson introduced The Beatles at their first ever Canadian concert, Aug 22, 1964 in Vancouver, British Columbia. Host Greg Gazin, had an opportunity to recently speak with Red, who recounted the events of that day - and which might be a surprise to some and talked about an upcoming 50th Anniversary concert to commemorate that day. Full article: The Day the Beatles Shook Vancouver at Troy Media. in 2004, Greg was managing a Beatles Tribute band and approached Red to ask him to emcee the 40th anniversary event in Vancouver. As a newer Toastmaster with knocking knees, he persevered. Photo is actually a painting of Red holding the concert poster. (They're available as a limited edition. Artist is Glen Green, designer of Canada's Olympic Coins). Visit RedRobinson.com for more details. Whether you are a Toastmaster or simply a traveler, there's always a need for technology on the road to make the trip so much better. Here are a few Gadgets & Tech Tools and a few things to think about before heading out on the road this summer. You can also read the full article at Canoe Tech Blog.